Remo Stars’ promotion party is over and now desperate times for gaffer, Nduka Ugbade, as he attempts to break the duck after two matches without a win in the Nigeria Professional Football League (NPFL). Ugbade’s side recorded consecutive defeats on their debut at home to Plateau United and Gombe United on the road in four days to remain at the base of the 20-team log. With unbeaten Abia Warriors visiting on Sunday, the former Nigerian International has to fashion out a strategy to stop the Umuahia side considering their position at the base of the 20-team log. 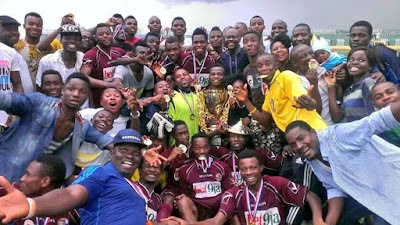 naijaleague.com.ng gathered that Ugbade will turn to two-goal hero, Victor Mbaoma, to inspire his colleagues on match day. Mbaoma has made huge impact in their NPFL campaign with two goals in two consecutive matches. Poor concentration from the defence allowed Victor Kim enough space in the box to put Plateau United ahead on their NPFL defence. Ekene Obi and Osas Okunghae must be alert to avoid a repeat of the incident at the Gateway Stadium, Sagamu. Ugbade will bank on continuity as the likes of Mbaoma, Umar Martaba, Ewelike Edozie, Paul and Oche Salifou amongst others have been together for over two years. Despite the defeats in their opening matches, Chizoba Ndukwe, has been impressive in-between the sticks and looks good for his third straight start for ‘The Sky Blue Stars’ on Sunday.